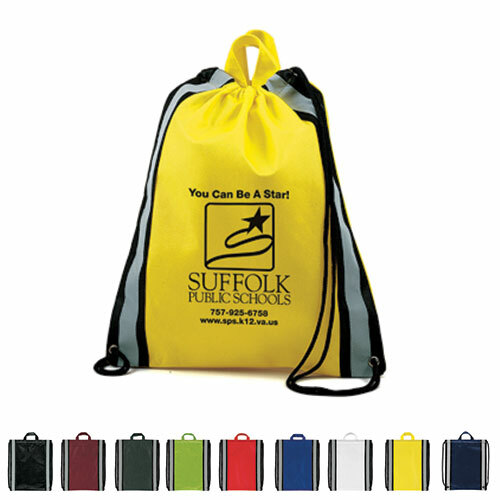 Our eco-drawstring bags will give not only your brand logo visibility, it will also offer visibility when worn by your customers and prospects. 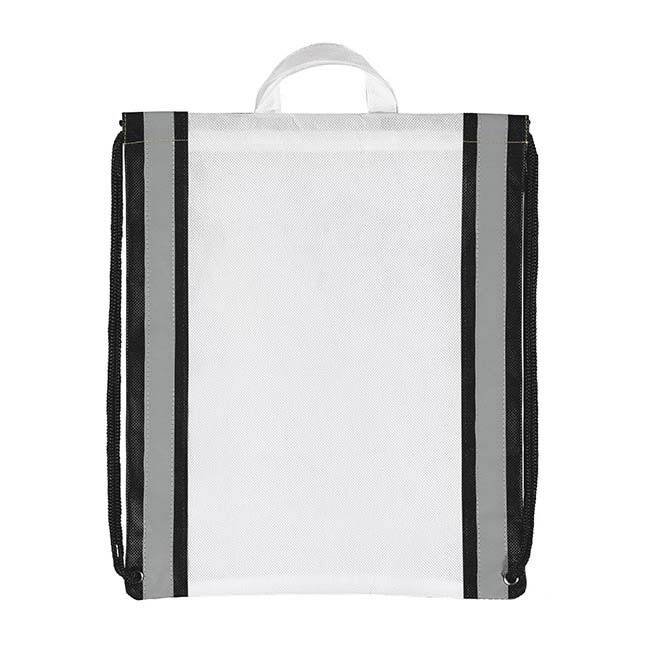 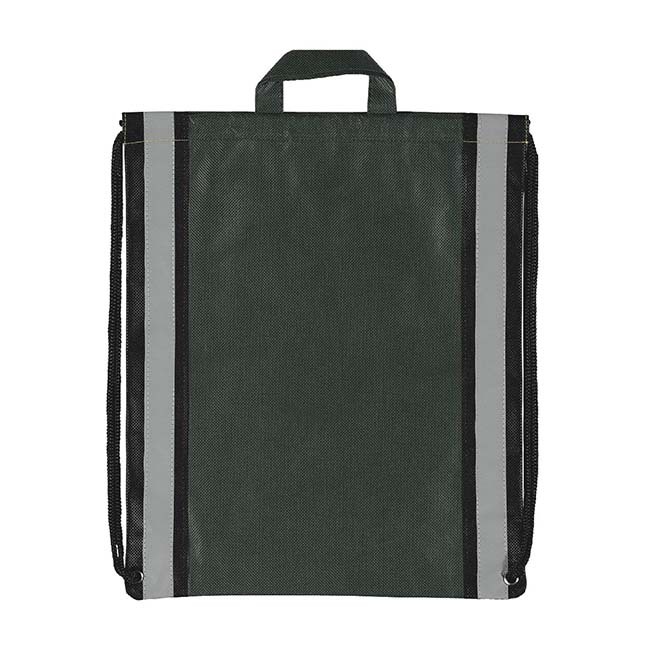 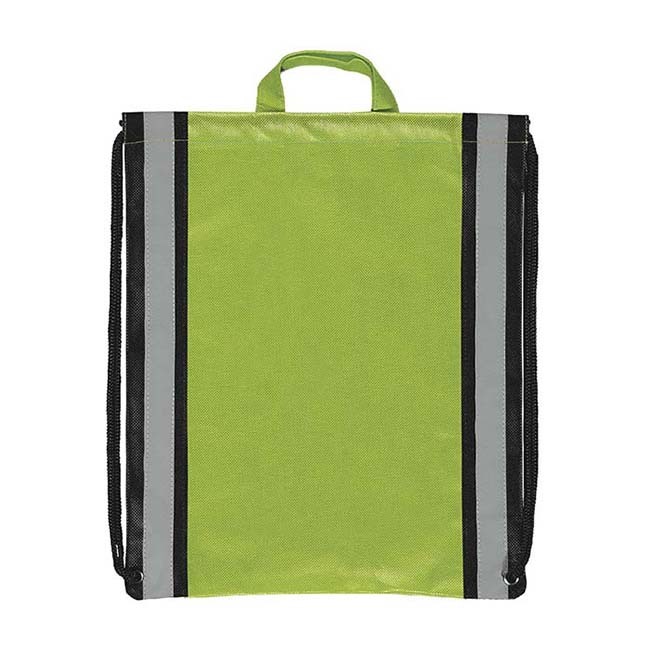 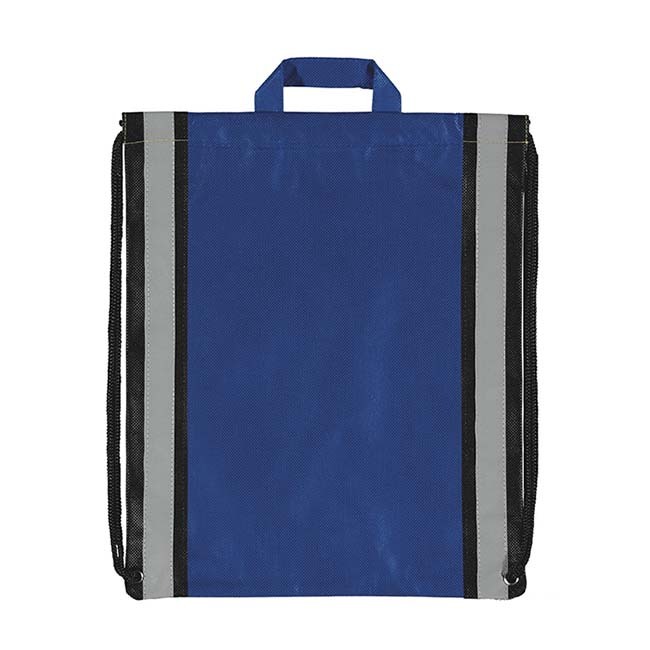 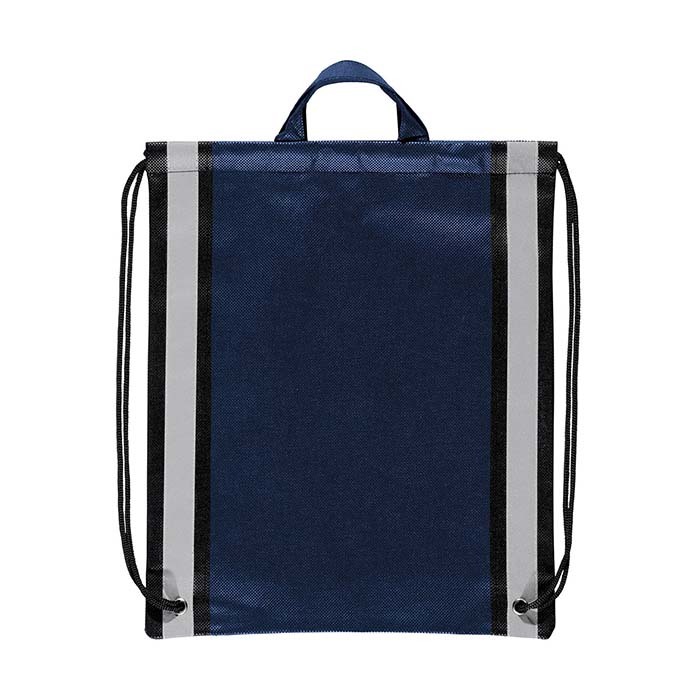 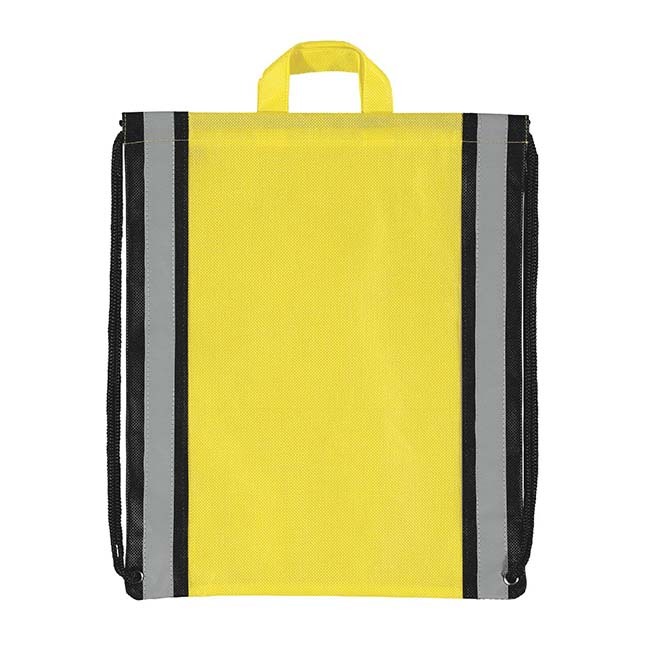 Designed with 1″ reflective stripes on each side, a great bag if your demographic spends time outside. 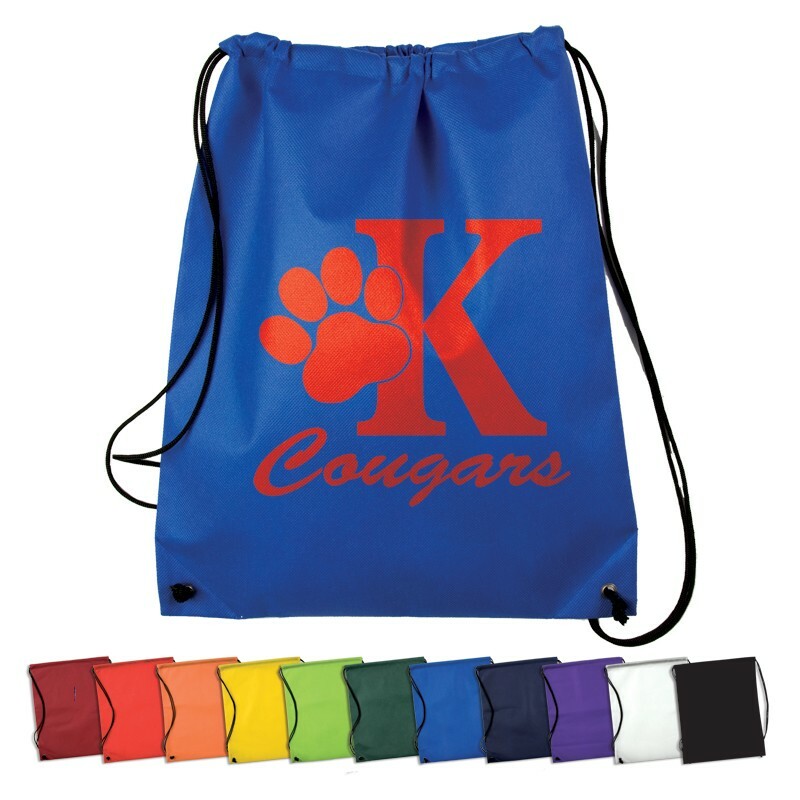 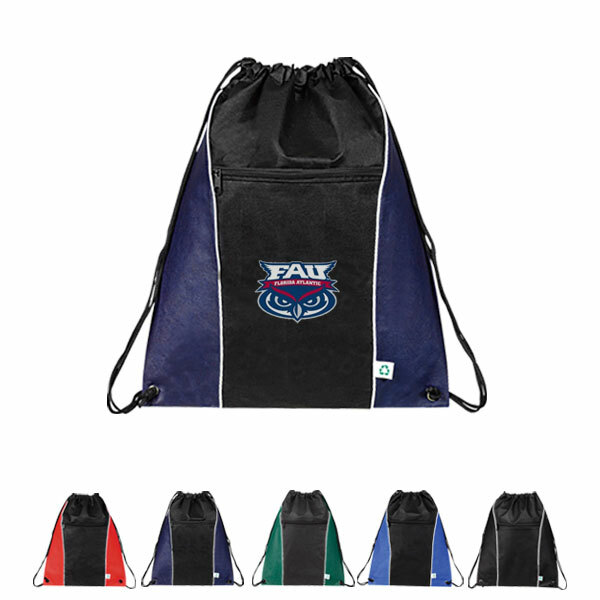 This reusable bag is perfect for kids on campus or making a trip to the gym or heading back and forth to the office. 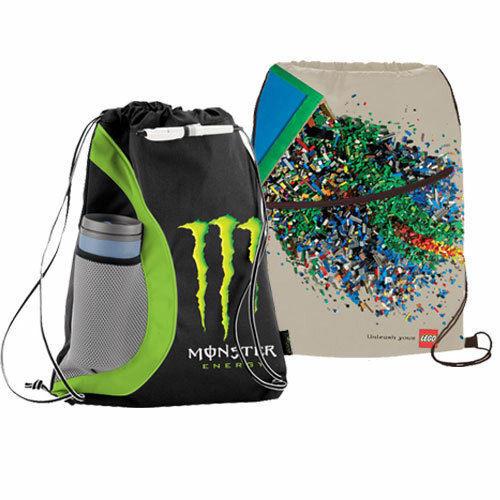 Durable and full of style, feel free to customize this bag to your exact specifications and get great wholesale pricing.